I hold a Post-graduate degree in Management and a Bachelor degree in Law. I am currently heading a portal in India. I'm positive about every aspect of life. My passion is PEOPLE . My writing touches on PEOPLE and PRINCIPLES in one-way or another. I believe that people with their thinking, feeling, attitudes, emotions, imagination, etc are the symphony of this world. Everything I do is to help me understand people. What interests me in life is curiosity, challenges, the good fight with its victories and defeats. My favorite enjoyment is Visiting my parents in Ranni, Kerala, India. My hobbies include moderating online groups. I am part of the following online groups. 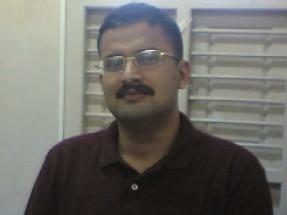 I also request you to visit My Profile On orkut by clicking the link below. There are lots more about me, in the unlikely event you're that interested. I thank you for visiting my page. I hope you will find something of interest to you.